A mixer is a device most commonly used by chefs and bakers to mix batter and dough for breads, cakes, pastries and other baked goods. They are also used for whipping eggs and frostings. While most mixing was done by hand back in the day, today’s mixers are powerful electric tools that cut mixing time down to nothing. Our top pick is the Cuisinart HM-90S Power Advantage Plus 9-Speed Handheld Mixer. Click below to watch the video review. This handheld mixer features a 220-watt motor, one-press on/off button, one-touch speed control and 9 different speed options. The included long beaters, chef’s whisk, and dough hooks are designed to fit into the clear case that snaps the mixer on top. Several recent reviewers have been unhappy with this unit. They say that it broke down after a couple months of use and that the workmanship is poor quality. The general consensus is overall positive, but if you want an alternative, check out this KitchenAid option. Mixers can be hand operated, which is fine for beating eggs, but for larger jobs, electric mixers are the way to go. They work by motorized beaters spinning at high revolutions to stir, beat or mix food (Source). There are many brands of mixers on the market all with different features, but most experts say that comfort and attachments are important factors to consider. Comfort because it can reduce fatigue when using for a long time, and attachments because it makes the tool more versatile (Source). Durability is also important. It makes little sense to buy cheap only to have the product stop working months after purchase. Here, we look at 5 popular mixers. The VonShef 250W hand mixer/whisk comes with a variable 5-speed motor and turbo setting to handle both mixing, beating and whisking chores. This comes with 2 beater attachments, 2 dough attachments, and a balloon whisk. Users say this is a good tool for the novice baker, but some thought the wire whisks were less durable than bladed designs in other mixers. The KitchenAid 7 speed digital hand mixer also features a turbo setting and comes with whisks, dough hooks, a blending rod and a convenient storage bag. What’s nice about this mixer is it features their SoftStart technology, which gradually brings the beaters up to speed for better control and prevents splattering. Next up is the KitchenAid 5-speed mixer which is similar to the previous in terms of design and weight, but with two fewer speeds. This product allows you to lock the cord into either the left or right side so that’s it’s never in your way. Users say this is a great tool for those who only need to do the occasional mixing. The Cuisinart HM90S is one of the top mixers we looked at with a 9-speed 220-watt motor. Like other mixers, this one features a gradual increase in speed to prevent splatters. 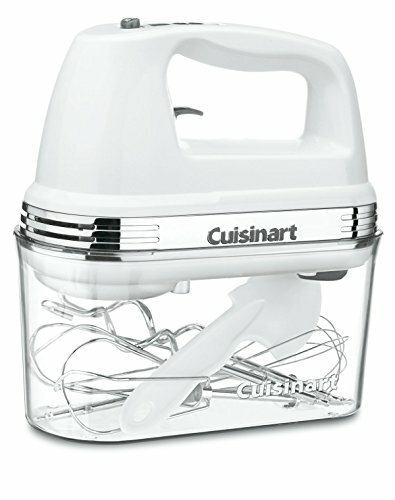 This comes with beater attachments, whisk attachments and a snap on clear storage case. 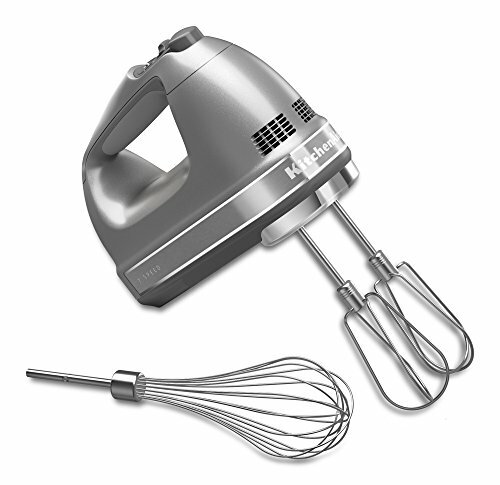 Although it’s a hand mixer, users say it performs almost as well as a stand mixer (Source). Lastly, we looked at the Hamilton Beach 62682RZ which is one of the most reasonably priced you’ll find. It’s a no-frills mixer with a 6-speed motor and both beater and whisk attachments. Some users found the lowest speed too fast for some tasks and other said that while it’s a good beater for the beginner, one might be better off spending a little more to get a mixer that’s more versatile and has better speed control. If you are looking to get a hand mixer, you might want to consider the Hamilton Beach model with a snap-on case. Users love the handiness of this kitchen aid, but some do complain about the lack of a slower speed. This product features traditional beaters and a whisk and it is designed for mixing, whisking and folding. It features a built-in bowl rest that allows to set the mixer down when adding ingredients. The manufacturer states that it features 250 Watts peak power and six speeds, including a Quick Burst function for additional power at any speed. It comes with a snap-on storage case for easy storage. This item might be a good choice if you’re looking to mix and whip with power and convenience. In general, buyers have a favorable opinion of this Hamilton Beach hand beater. They agree that this kitchen appliance is a great value for the money. Users conclude that it is easy to clean and that it doesn’t take up a lot of space. However, there are purchasers who complain that this kitchen appliance has no slow or medium speeds, but only high settings. Some state that the motor burns out easily and several purchasers complain that their item died after several uses. The Cuisinart 9-speed handheld mixer could be a good option for those who want to whip up an airy meringue or decadent cake. Users like the smooth turn-on settings of this kitchen appliance, but some complain that the product feels flimsy. According to the manufacturer, this product comes with extra long beaters, dough hooks, a chef’s whisk and a spatula. Its 220-Watt motor is said to feature plenty of power, perfect control, and compact storage. In addition, it features 3 low start speeds to prevent ingredients from splattering. It is available in white and chrome color. This item could be a solid choice if you’re looking for a versatile hand mixer. The general user consensus regarding the Cuisinart hand beater is that it meets their expectations. Users agree that it is well-built, durable and easy to operate. They appreciate the low settings and the powerful motor. However, there are complaints regarding the flimsiness. Several purchasers state that the item is not made of stainless steel since the rust appeared on the parts after they’ve been washed. The Kitchen Aid handheld beater could be a solid option for whipping up fluffy meringues. Users like the settings of this kitchen tool, but there are complaints regarding the lack of power. This product features 2 stainless steel turbo beater accessories, which are said to be ideal for mixing heavy ingredients. As the manufacturer boasts, they are dishwasher safe and can be easily removed with the single-handed press of a button. 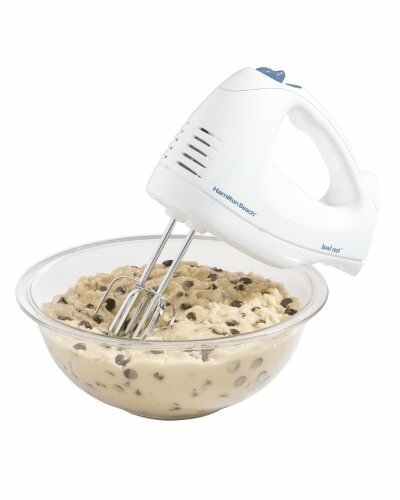 This item might be a solid choice if you’re looking for a powerful kitchen aid for mixing up your favorite cookie dough. The general user consensus concerning the Kitchen Aid ultra-powerful hand mixer is that it does a great job at a decent price. Buyers state that it is lightweight and easy to clean. They appreciate that the low speed doesn’t splatter batter all over. Plus, they love that it comes in a variety of colors. However, some buyers complain that it is not powerful enough. There are those who state that the item is not heavy-duty. 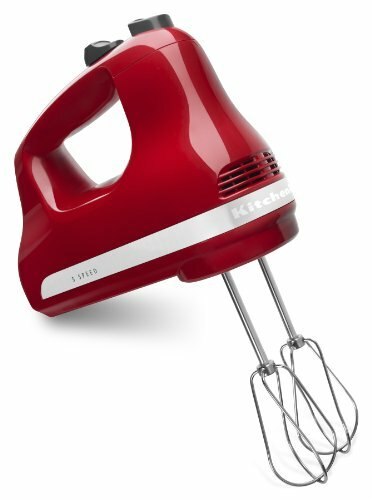 If you want a top-rated handheld mixer, you might want to consider the Kitchen Aid 7-speed digital model. Users like the performance of this product, but some complain that it lacks power. According to the manufacturer, this product is ideal for powering through heavy ingredients. Thanks to its slow starting speeds, it brings the beaters up to the selected speed gradually to prevent the batter from splattering.In addition, it features a lockable swivel cord that allows you to approach ingredients from any angle. You can choose between 4 different colors. This product might be a good option if you are looking for a beater that can mix from a slow stir to a high whip. The general user consensus concerning the Kitchen Aid hand mixer with turbo beater II accessories and pro whisk is that it is efficient and easy to handle. 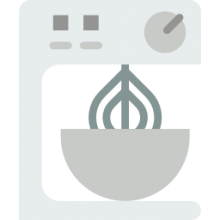 Users recommend it to anyone who needs to make various batters, meringues, and frostings. They appreciate the quietness of the item, as well as the soft start feature. However, there are those who say that it’d be better if it had a touch more power for tough mixing jobs. Several buyers complain that it has a kind of cheap feel to it. The VonShef 250W hand mixer is a solid option for those who are in need of a kitchen appliance that will help them mix heavy batters. Users like the performance of this beater, but there are those who complain about the flimsiness. This set includes an electric hand whisk, 2 beaters, 2 dough hooks, and a ballon whisk. All of the accessories are said to be dishwasher safe. 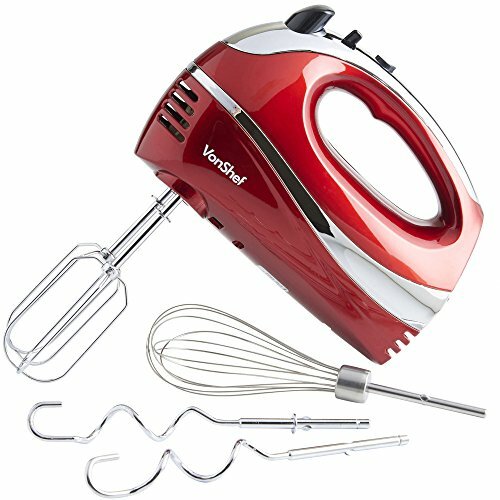 As the manufacturer boasts, it features a 250W motor and Turbo settings for effortless whisking. In addition, it is said to be compact and to feature a light-weight design. This item seems like a solid choice for kneading a homemade bread dough. In general, users have a favorable opinion of the VonShef 5-speed handheld model. Many buyers agree that it is well worth the price. They appreciate that it is powerful and easy to use. However, some buyers with the mixer were sturdier. There are several complaints regarding the eject button which can be hard to push, as well as the beaters which are not long enough for deep bowls. When it comes to the variety and range of foods that you can mix using a hand mixer, there is quite a long list. Typical food products that can be mixed easily with a mixer include icing, cakes, whipping cream, salad dressings, eggs and many more foods. The most prevalent use of mixers is to whip boiled potatoes. This is the simplest and easiest way to create mashed potatoes while using the metal beaters that are a staple of kitchens everywhere. Foods, especially batters that are dense and heavy can prove to be hard to mix with a mixer. The main factors controlling the success of the mixing is the power of your hand mixer and the softness of the food items that you’re attempting to mix. In case your mixer is not up to the task, a stand mixer can be used as it is a more powerful tool. In the relatively distant past, a few decades ago that is, rotary egg beaters were a staple accessory for kitchens everywhere. However, those manually powered egg beaters were quickly replaced by electrically powered egg beaters during the beginning of the 1990s. Nowadays, compared to hand powered egg beaters, battery powered hand mixers are all the rage now as they are much easier to use and are more effective as well. With that being said, there is still a demand for manually powered rotary egg beaters and you can still buy them from most shops. This is because there are often occasions where you might not have access to electricity, such as in remote areas that have no reliable electric service, or while you’re out camping. In these situations, rotary egg beaters are perfect for mixing foods. There are still many households that haven’t thrown out their old egg beaters and they still use them sometimes, such as during blackouts. Hand mixers are very economical and won’t cause even a slight dent in your budget. These tools are considerably less expensive than stand mixers and they are great as a practical and functional tool to have in your kitchen. They are small in size and thus take up very little space and they are also portable. Stand mixers require you to use a specific type of bowl to mix in, while hand mixers can be used with any type of bowl. They are excellent for rapid mixings, such as whipping cream. For people who are passionate about baking or cooking, these are an essential tool to have. Thanks to the small size and different types of attached beaters, it becomes very easy to mix all kinds of foods. In the past, whisks were the standard tool to mix things, but they took too long to work with and also tired you out. With mixers, the battery powered motor does all the hard work for you. By taking good care of your mixer, you can greatly increase its lifetime of functional usage, all the while getting the most out of it. So clean it frequently and always store it in a dry and cool location.